I hope this message finds all of you very well! 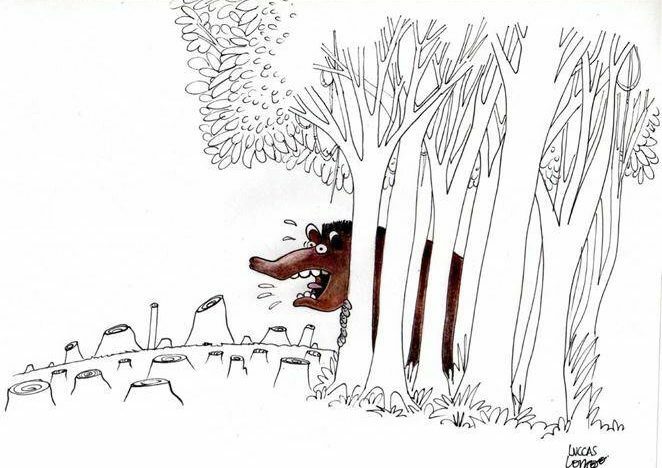 Liana John and I are almost ready to launch our educational campaign focused on tapirs and their habitats in Brazil. 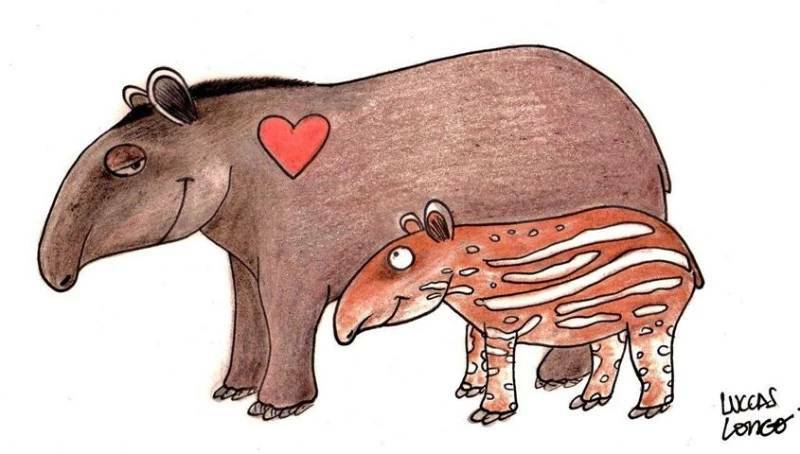 As I mentioned before, the campaign will be called “Minha Amiga é uma Anta” (MY FRIEND IS A TAPIR) and the main target public will be children and teenagers. The campaign will use several different education and awareness tools. 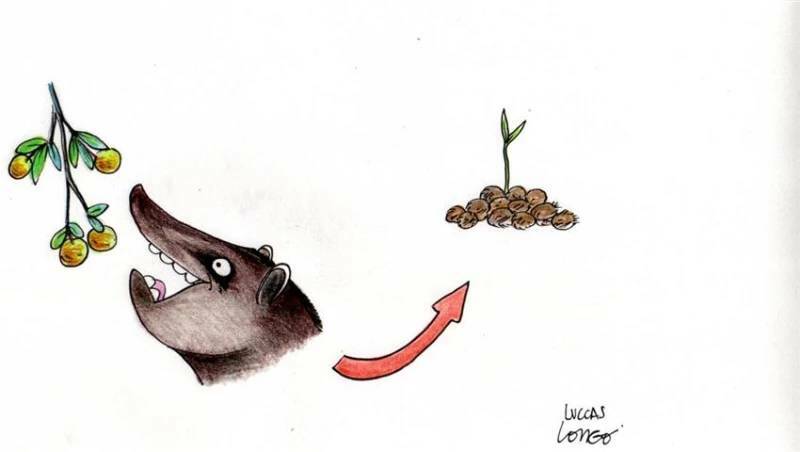 The most important tool will be a brochure entitled MY FRIEND IS A TAPIR including loads of information about tapirs, photos and fantastic illustrations by Brazilian cartoonist Luccas Longo. In my last Update from the Field I sent you some images of the brochure and Luccas´ illustrations. 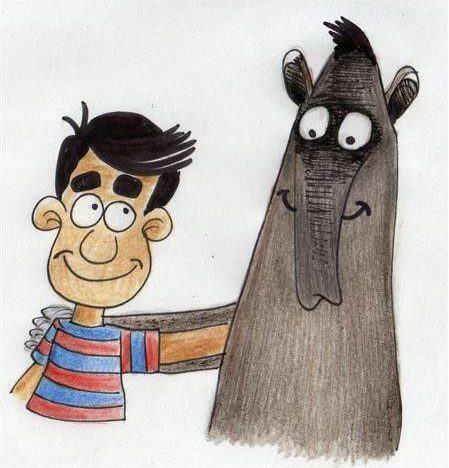 We are also designing a MY FRIEND IS A TAPIR website, including again lots of information, photos, videos, downloadable puzzles and coloring plates for kids. 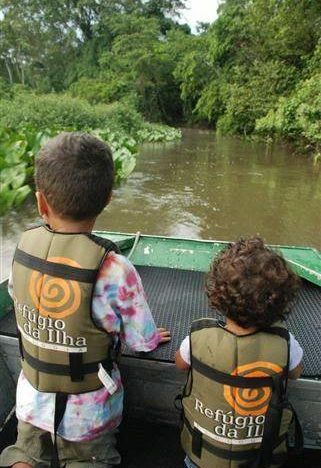 Through the website, kids and teenagers throughout Brazil will be able to join a MY FRIEND IS A TAPIR CLUB and download a membership card. Lastly, we are designing social media profiles for the campaign, including Facebook, Twitter and YouTube. We should soon be able to advertize the links to the MY FRIEND IS A TAPIR website and social media profiles! The brochure will be available for download on the website and, in addition, we have managed to raise funds to print 50,000 copies of it. 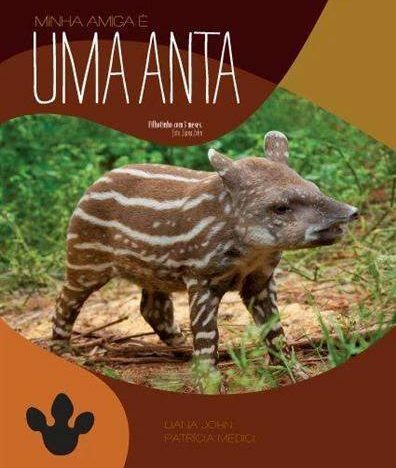 Printed copies of the brochure will be distributed in schools throughout Brazil, particularly in the regions where the Lowland Tapir Conservation Initiative is active (for now in the Atlantic Forest and Pantanal regions). Last week I carried out a first trial using the MY FRIEND IS A TAPIR brochure during educational activities in a school here in Campo Grande, where I live, and I have to say it was a major success! The kids ABSOLUTELY LOVED the brochure and asked thousands of questions about tapirs! I am attaching a few pictures for you! In addition, I just spent three days filming with Discovery Channel Brasil!!! They are producing a show called Flash-Forward Brasil. It is a series of 2-minute video clips profiling “Brazilians who make a difference, Brazilians who make this country a better place”… something along those lines. There are eight of us who will be profiled. The photography/film crew included five insanely competent professionals and I believe we did a great job! In the first day of filming we filmed tapirs and myself “playing” with tapirs at the Wildlife Rehabilitation Center here in Campo Grande and in the following day we flew to Baía das Pedras, my study area here in the Pantanal, where we filmed the Pantanal, animals, myself carrying out field work etc. In the second day at Baía das Pedras a small place came and the crew managed to obtain some incredible, breathtaking aerial images of the Pantanal! I am confident this clip will be amazing and will prove to be another GREAT GREAT GREAT opportunity to promote the conservation of tapirs here in Brazil!!!! I am attaching a few pictures of the making-off of the film. Most of the pictures were taken by Marina Bandeira Klink. The clips will be broadcasted only here in Brazil, starting in early July. They will be inserted during commercials and Discovery will be showing them for a year or so… ! I am super happy! As far as I understood they will make available an online version of the film and I will make sure to send the link to all of you! Still speaking about media, I am currently talking with two other TV channels here in the Brazil who are interested to film with us in 2012. All I want is to make the tapir a huge celebrity in this country!!!!!!!!!!!!!!!!!!!!! 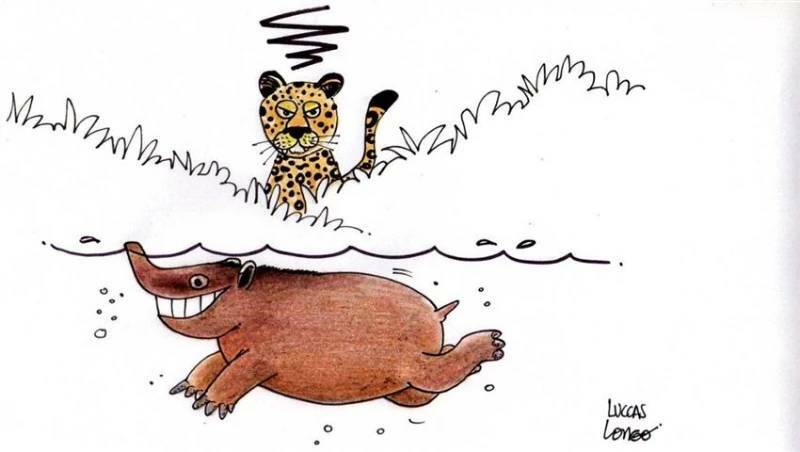 As I mentioned above, I am currently working with the IPÊ´s webmaster on the re-design of the website of the Lowland Tapir Conservation Initiative (www.tapirconservation.org.br). The site is old and out of date and it was about time to give it a complete revamp! We should be able to launch the new version of the website next week!!! I will let you know! Most importantly…. WE ARE GEARING UP TO START OUR FIELD SEASON in mid-May! I CANNOT WAIT TO BE BACK IN THE FIELD! As I mentioned in my previous update, the dates of our 2012 capture expeditions are the following: May 14-29; July 9-27; September 17 – October 5; November 8-23; December 1-16. In June, August and October we will carry out expeditions for radio-tracking and camera-trapping only. We already have veterinarians and volunteers lined up for all capture expeditions. WE ARE ALL SET TO START! I just hope that in 2012 we will capture, radio-collar and sample as many tapirs as we did in 2011!!!!!! This is it for today… just sharing some recent developments and news! Thank you SO, VERY MUCH for your constant support!!!!! 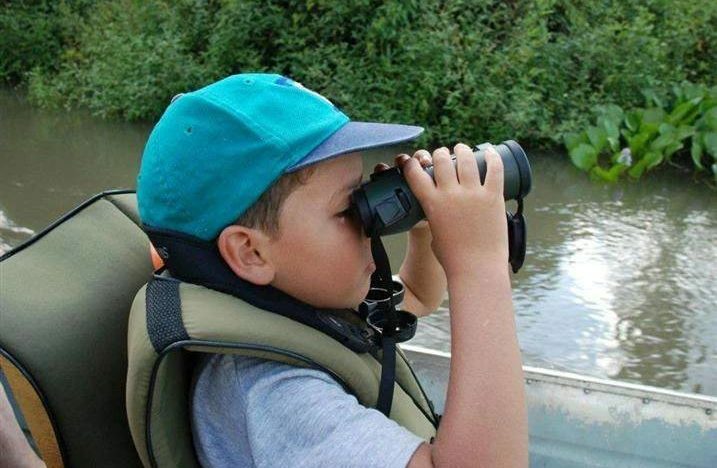 Come visit us in the Pantanal this year!! !